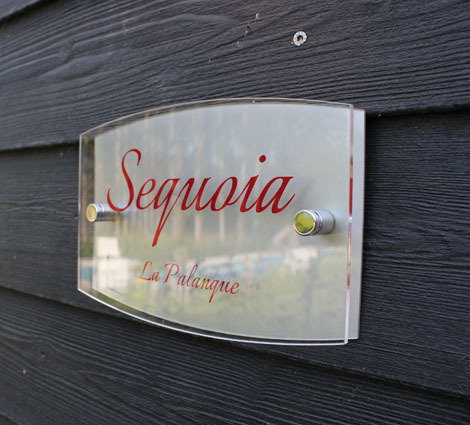 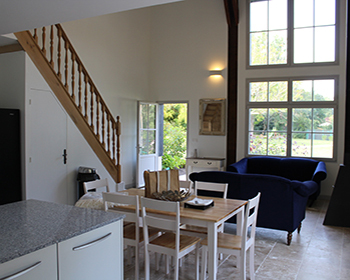 Sequoia is the most spacious of La Palanque’s gites. 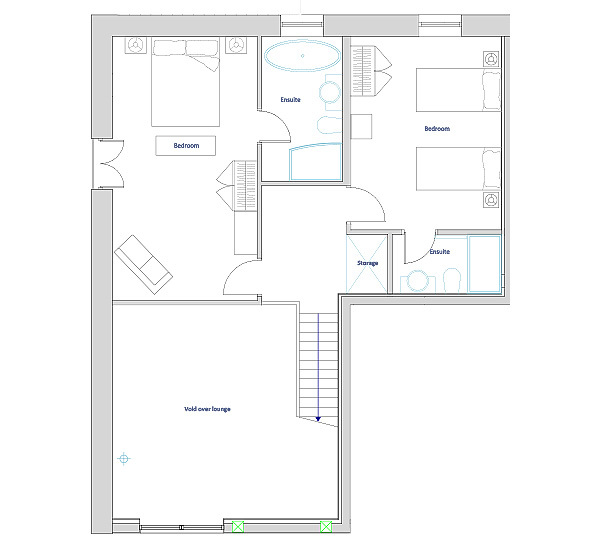 Spread over two floors, it has three bedrooms and three bathrooms. 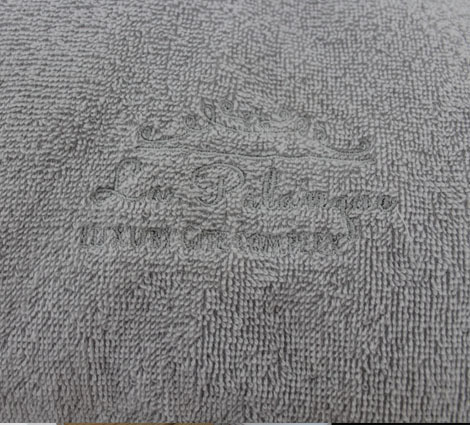 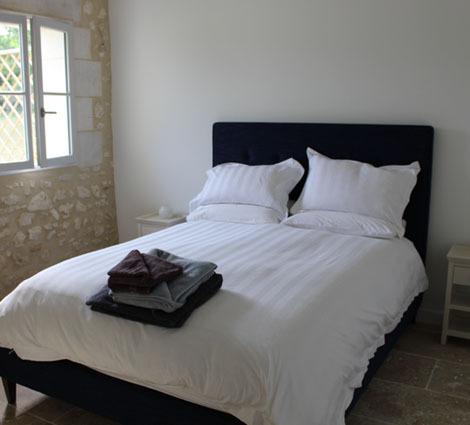 The master bedroom has an ensuite furnished with a standalone bath and walk-in shower. 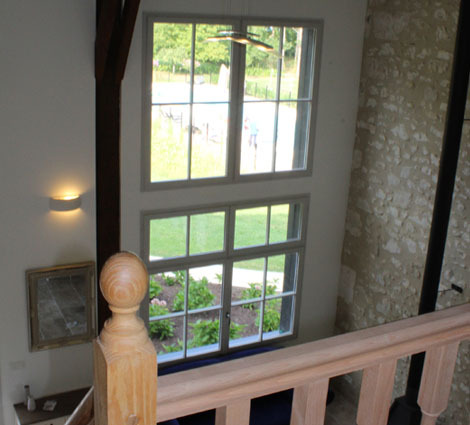 It also enjoys unique views of the fields which stretch down to the river Dropt. 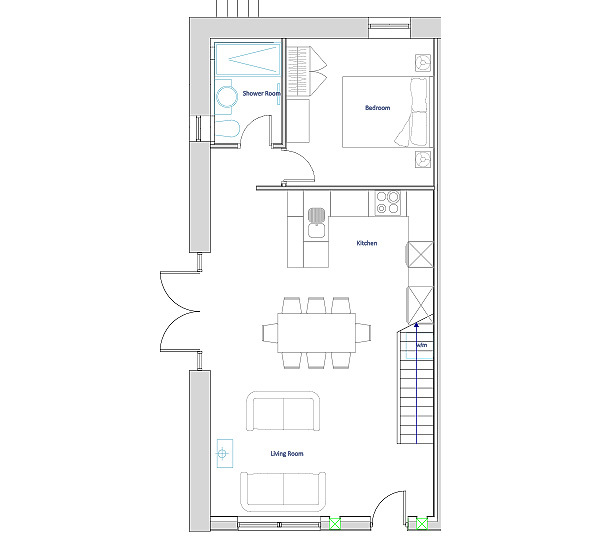 The second bedroom upstairs is a good sized twin bedroom with ensuite shower. 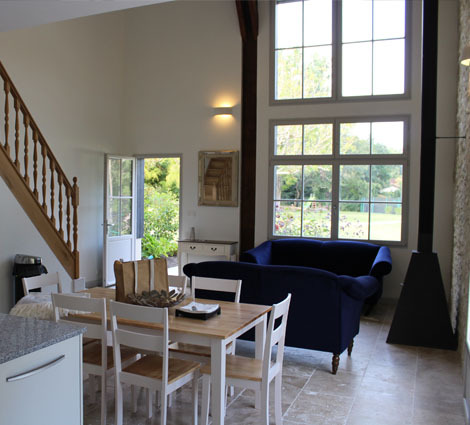 The downstairs open-plan living space has a high-vaulted ceiling which shows off the retained original brick work – a perfect setting to relax in comfort in a choice of generous sized sofas. 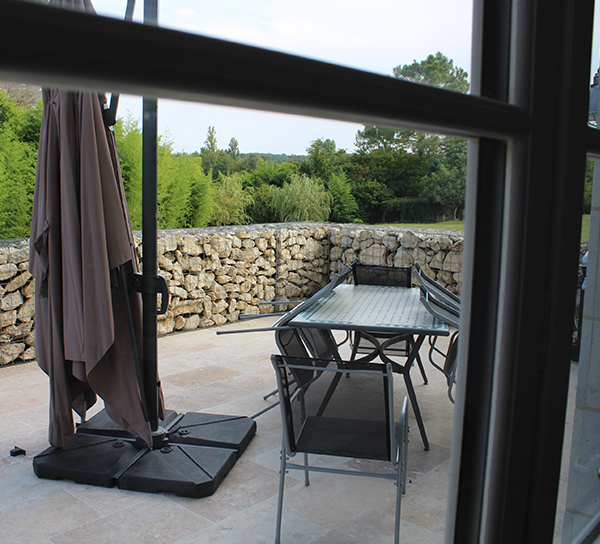 Opening out from this area is Sequoia’s own sizeable private garden. 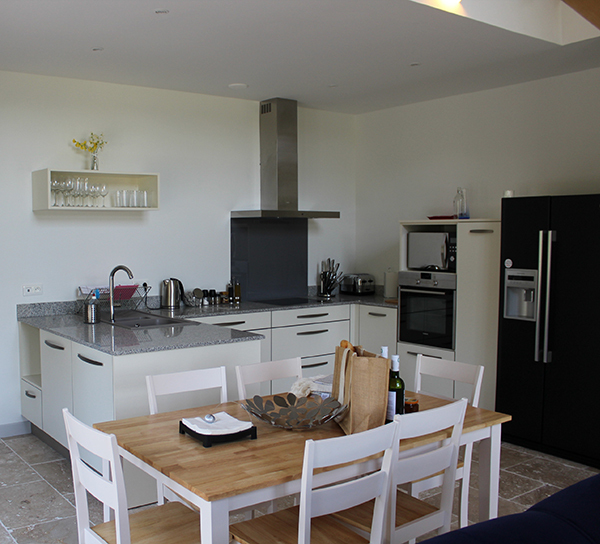 The U shaped kitchen with ample food preparation space flows into the dining room, which has a large table to accommodate up to six. 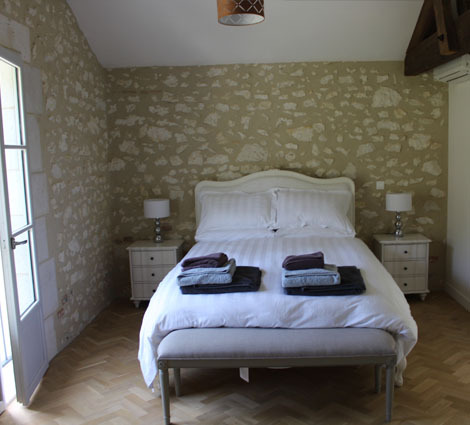 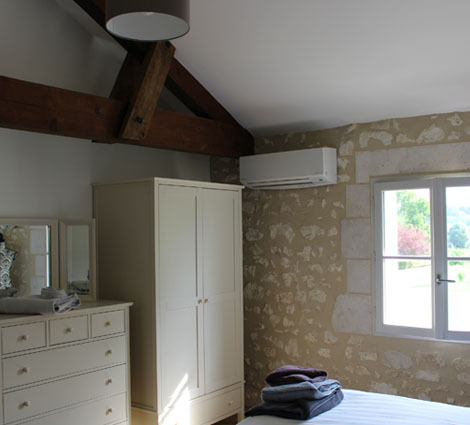 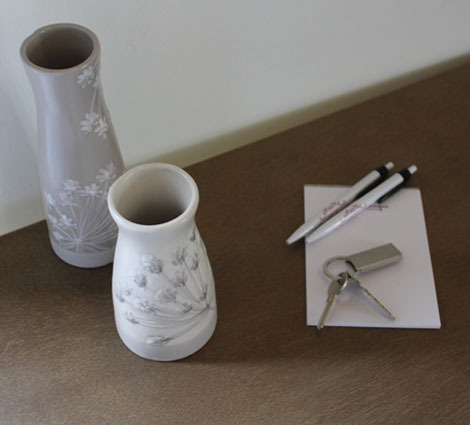 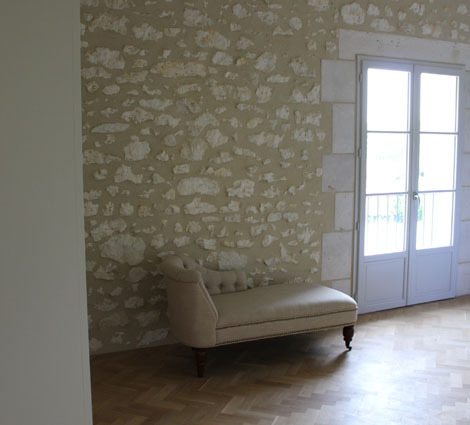 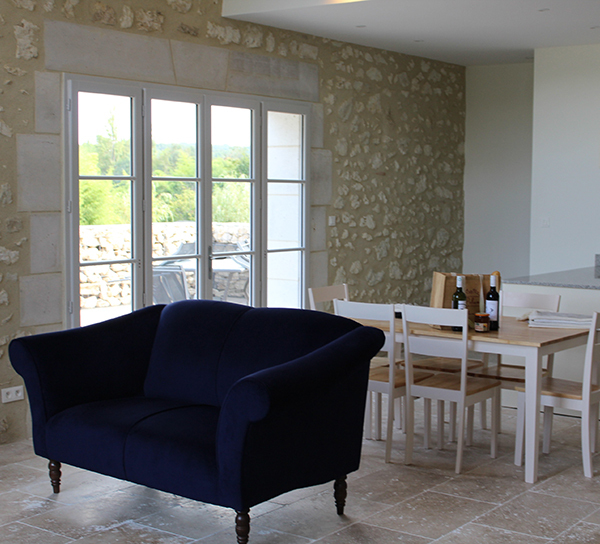 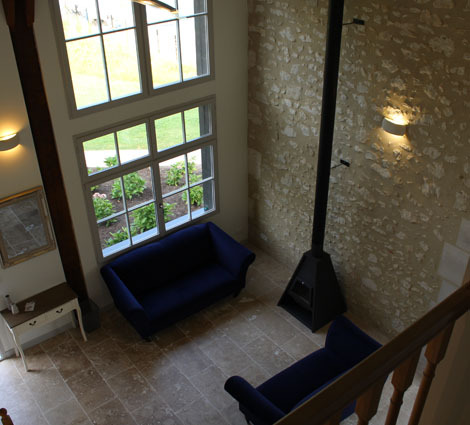 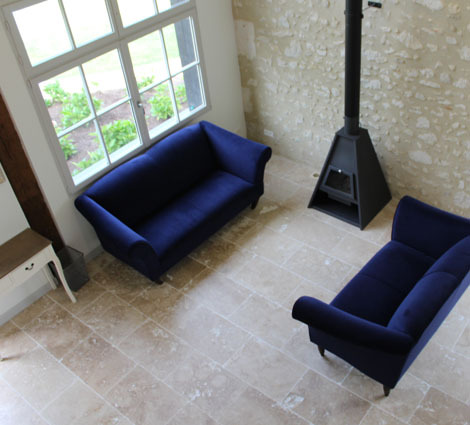 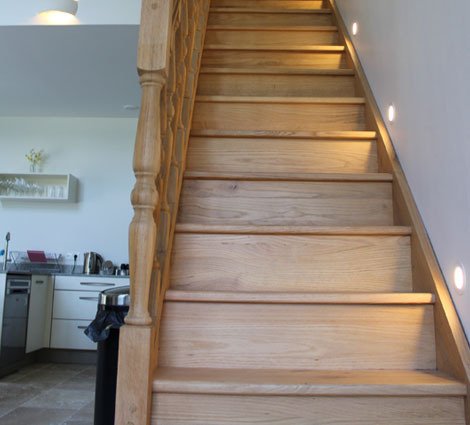 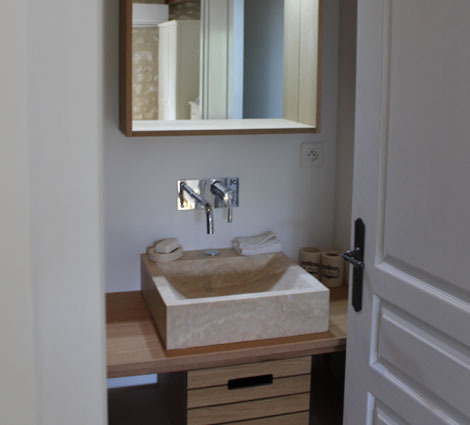 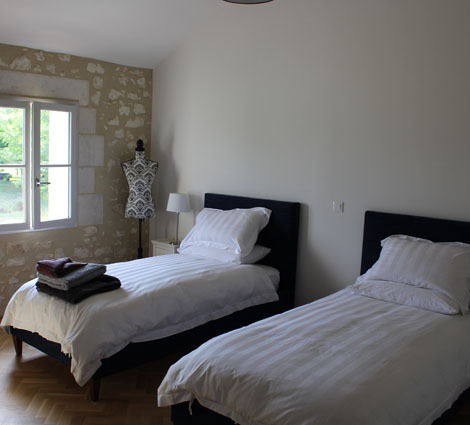 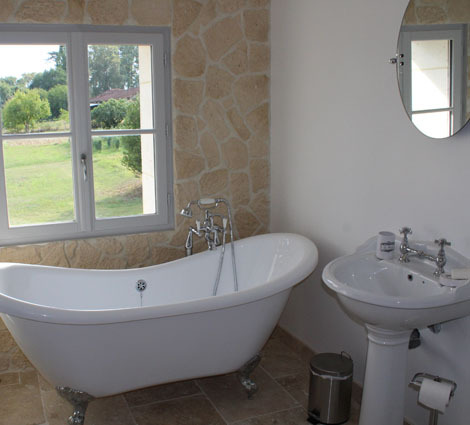 Guests in the downstairs bedroom can sleep soundly if others wish to stay up chattering thanks to sound insulation in walls and doors (this is a feature of all five gites). 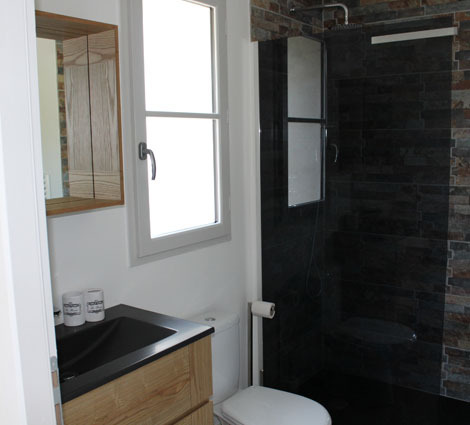 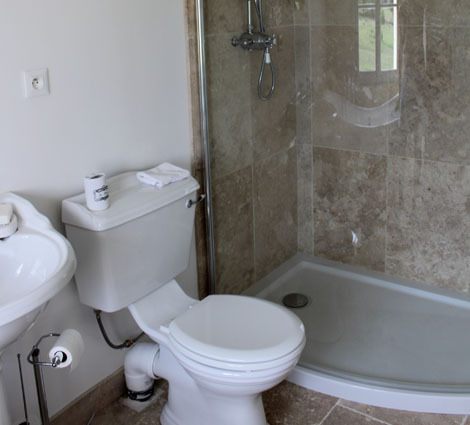 There is a shower and loo downstairs, too.